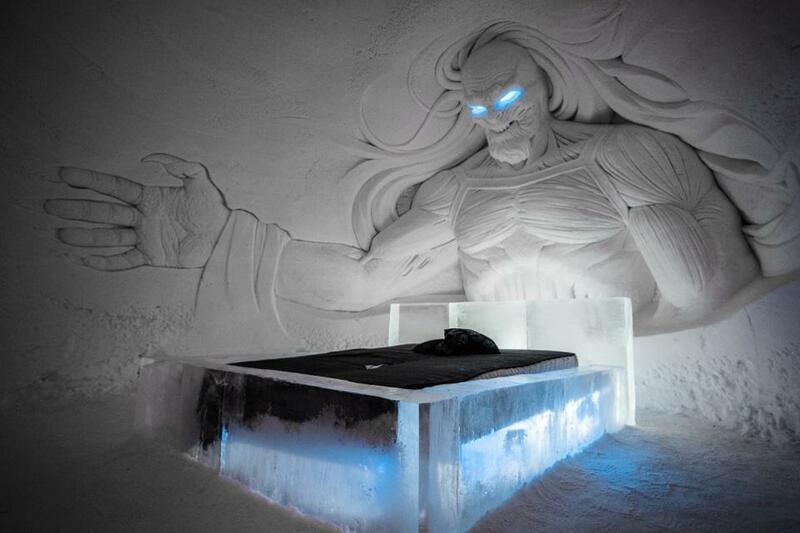 Ever dreamed of sleeping with a White Walker watching over you? Now you can! 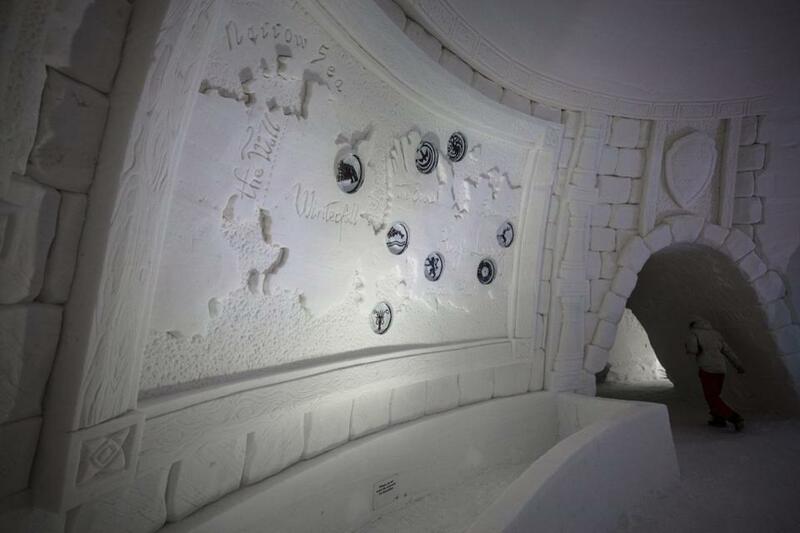 The Lapland Hotels SnowVillage is a hotel in Finland entirely built out of ice. Every year the hotel’s shape, size, and design is changed into something new. 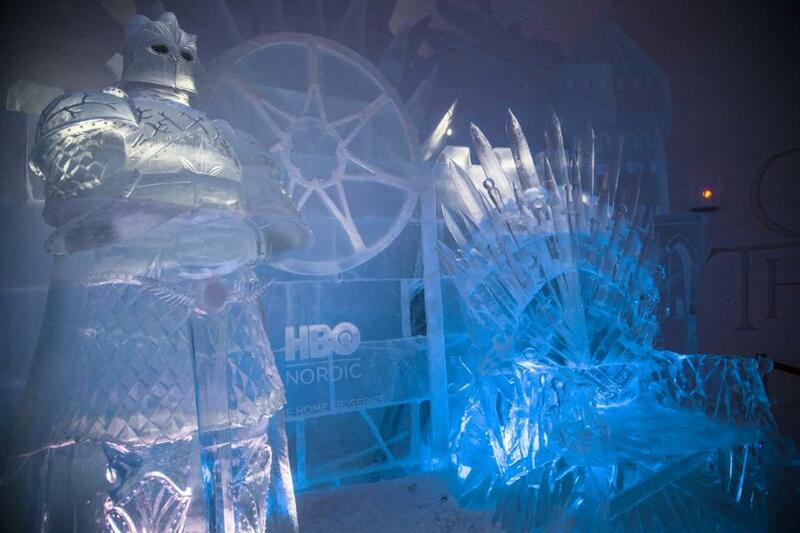 This year, in collaboration with HBO Nordic, the ice hotel is Game of Thrones-themed. Don’t miss the video at the end of the article! Scary or inviting? 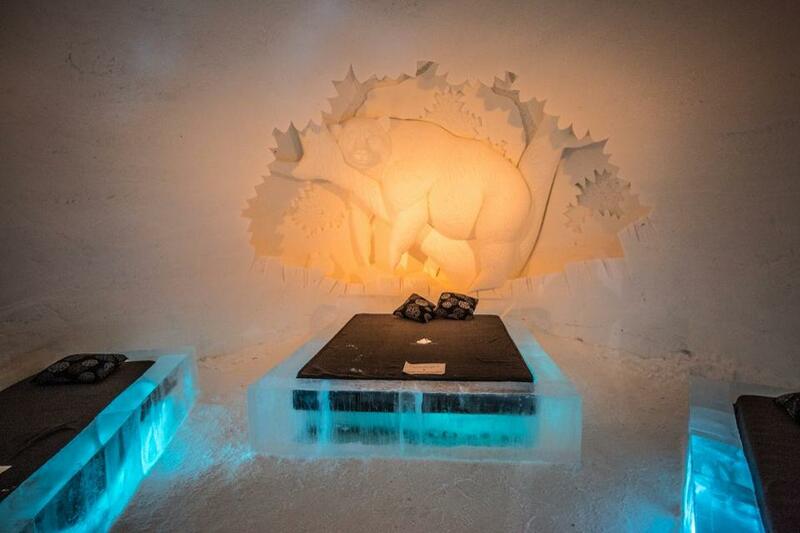 Photo by Tuomas Kurtakko for Lapland Hotels SnowVillage. To create the hotel, over 20 million kilos of snow and 350 000 kilos of crystal clear natural ice is transported to the SnowVillage and designed on the spot. 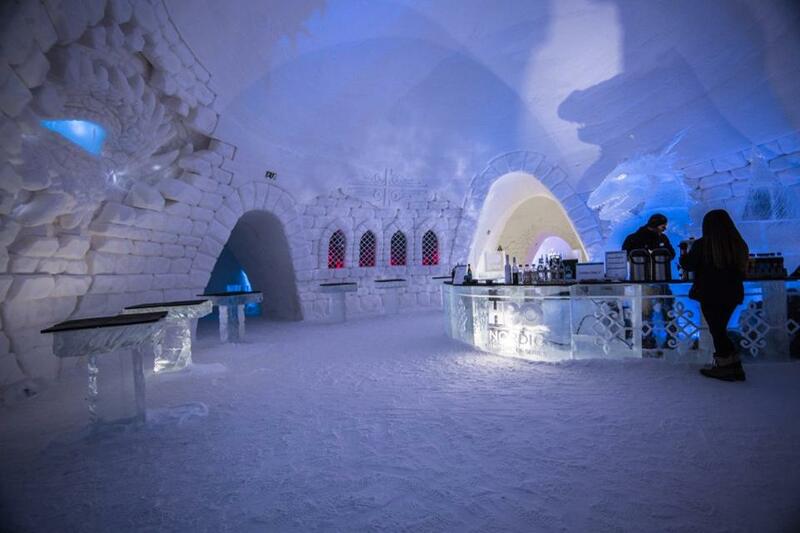 The entire hotel area is massive — covering an area of 20 000 square meters, including the Snow Hotel where the icy room and suites are located, the Ice Restaurants, Ice Bar and Ice Chapel. Sculptors from all over Europe have helped put the essence of Game of Thrones to life. 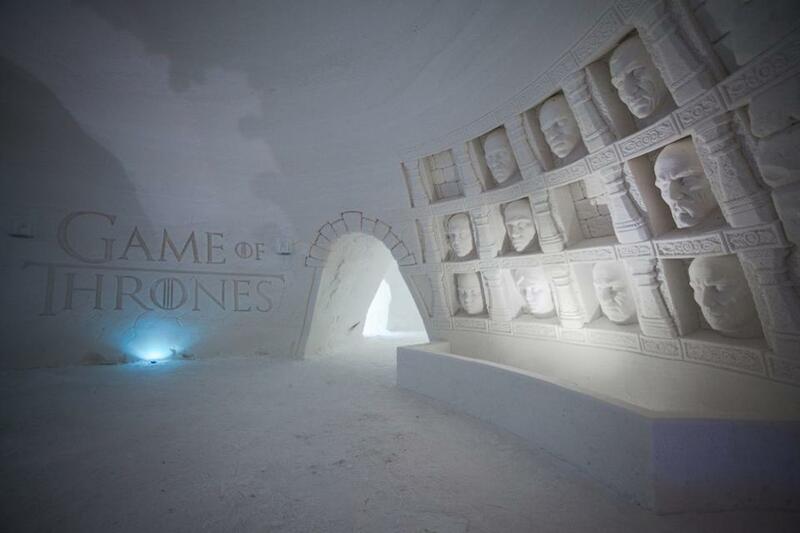 There’s even the Iron Throne — made out of ice! There’s also the famous Braavosi Hall of Faces where Arya Stark spends most of her time in season 5 of the show. Photo by Tuomas Kurtakko for Lapland Hotels SnowVillage. Lapland Hotels SnowVillage promises that “sleeping, dining and visiting the SnowVillage is an enjoyable experience when wearing suitable winter clothing” since the temperature of the Snow Village stays at between -2 and -5 Celsius degrees (23-28 degrees Fahrenheit), no matter the weather conditions outside. All of the rooms have thermal sleeping bags and fleece lining bags to ensure the guests can sleep comfortably. You’ll get your drinks “on the rocks” in this bar. There are also dragons acting as bouncers, making sure all the guests behave properly. Photo by Tuomas Kurtakko for Lapland Hotels SnowVillage. A map of the Seven Kingdoms, which might, or might not help you, depending on where you’re trying to go. Photo by Tuomas Kurtakko for Lapland Hotels SnowVillage. The SnowVillage is located in a Finnish Lapland town called Kittilä, which is about 90-minute flight away from the capital, Helsinki. Staying in the village have more to offer than just the cool (no pun intended) experience of the hotel, there are daily activities such as reindeer sledding, husky safaris, cross-country skiing, snowmobiling and ice sculpting classes. Feel like a true White Walker King by sitting on this Iron Throne made out of ice. Photo by Tuomas Kurtakko for Lapland Hotels SnowVillage. Staying a night at the Game of Thrones Hotel starts at $270 for a standard double room and snow suites from around $360. If sleeping in an iced room is out of your comfort zone, there are several “regular rooms” to choose from. For visitors just wanting the experience of the surroundings, restaurant or bar, the hotel village is open from 10 am to 10 pm every day with last entry at 9 pm. Next articleFACC Breakfast Seminar with PwC: US Tax Reform – What it Means for the Nordic Companies?